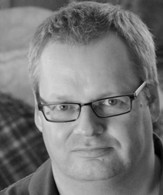 Doug Traill is a Senior Solutions Architect at NVIDIA responsible for Scalable Visualization Technologies. In this role he works with System Integrators, developers and end customers to help design and implement complex visualization systems. Prior to NVIDIA he worked for 9 years at Silicon Graphics in various technical roles including Solutions Architect and Visualization product manager. During his career Doug has helped design and build some the World’s largest Visualization Centers. He holds a Bachelor of Engineering degree in Electronic Systems and Microprocessor Engineering from University of Glasgow (UK) as well as a Masters of Telecommunications Business Management from Kings College London (UK). The adoption of cloud computing – virtualizing computer resources in a centralized data center are having a large impact on companies workflows. Recent developments by NVIDIA, Citrix and Vmware have now made it possible to virtualize computer graphics. This presentation looks at the building blocks of these technologies and postulates on how they may used to create a virtual digital switch where content is streamed over IP connections for collaborative displays.